Tim kindly forwarded on this photo with the following text. Yeah that's ok put it up on your site. It's a very interesting picture. 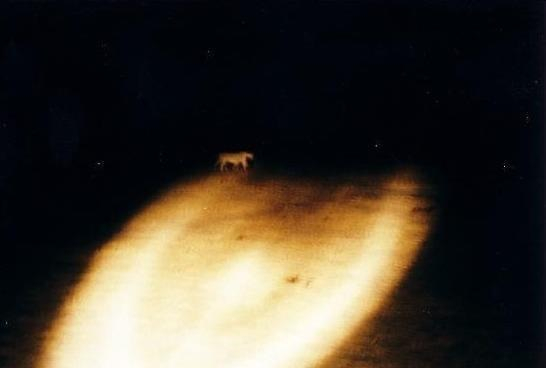 I got sent this picture from a friend and that night they were out shooting 5km out of Stawell, in the Grampians and they put the spotlight on it and just on the edge of the beam was this "huge cat like something you would see in a zoo slowly moving across the paddock" then it just disappeared out of view.